Steve Berry was born in Shillong, India just south of the Bhutanese border, and has returned to the Himalaya many times as a leader of remote treks and expeditions. These include the first British ascent of Nun (7135m) in Kashmir, and attempts on the sixth-highest mountain in the world, Cho Oyu (8210m) in Nepal, and also Gangkar Punsum in Bhutan – at 7550m this is still the world's highest unclimbed peak. He is the owner of Mountain Kingdoms Ltd (formerly Himalayan Kingdoms), a company offering walking holidays worldwide, and is a co-founder of Wilderness Lectures in Bristol. 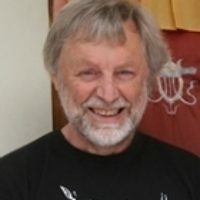 He has previously written two books – Kingdom of the Thunder Dragon, published by Crowood Press, and Straight Up, published by Himalayan Kingdoms in 2012. The former tells the story of the first, and only, British expedition to attempt Bhutan's highest mountain. The latter is a collection of stories from some of Steve's expeditions.